New York - Hours after multiple bombs were found in and around New York City, Ivanka Trump has been awarded her own Secret Service detail. A spokesperson for the Secret Service confirmed that Ivanka is receiving the agency’s protection as of Monday morning, but declined to say what prompted the move, according to reports in Time. Ivanka joins her step-mother Melania as the presidential candidate’s only family members to have their own protective detail. 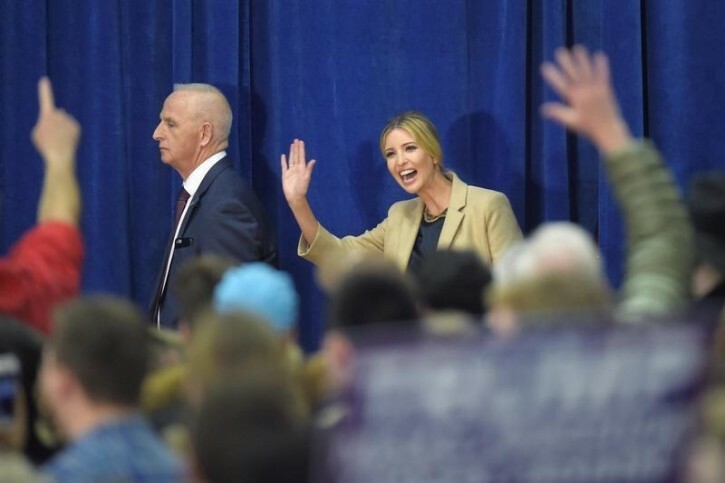 Ivanka’s code name was not released by the Secret Service although it presumably begins with the letter “M,” in keeping with the agency’s practice of giving all members of a presidential candidate’s family code names that start with the same letter. Trump’s code name is “Mogul,” while his wife Melania’s is “Muse,” as reported by the Washington Post. Ivanka is not the only potential “first daughter” to be receiving Secret Service protection. According to ABC News, the Secret Service assigned a detail to Chelsea Clinton earlier this month. Her code word is Malka. Much better she gets it and never needs it than the reverse. Why publish code names? Aren't they supposed to be secret - hence "CODE" names?